I knew that it was going to be a busy summer, but now that it’s here, it seems to already be flying by. Tomorrow we’re leaving for Horvátország, which is Croatia in Hungarian. 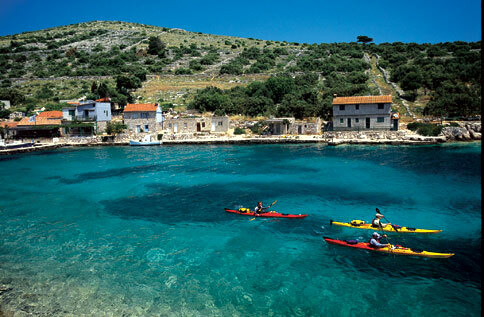 Croatia (in Croatian) is Hrvatska and it’s one of the most beautiful destinations in Southeastern Europe. National forrests, unspoiled lakes, hundreds of quaint islands on the sea with ancient limestone lighthouses at the helm, it’s flies under the radar for most Americans as being somewhere over there, and I’m really glad that we’re going to be exploring it for the weekend. 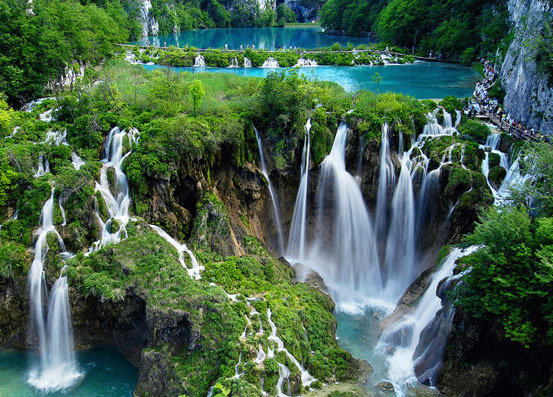 We’re going to Plitvice Lakes National Park, which is a UNESCO World Heritage site and quite close to the border of Bosnia and Herzegovenia. There are sixteen lakes, formed from runoff of the Lička Plješivica mountains. I’ll give a more detailed description of the park and the region when I return on Monday, hopefully with some good pictures to illustrate. Now I have to pack, make little bags of trail mix, and hang laundry if I want it dried before tomorrow morning. Today is Barnabás’ nameday, which I learned at about 5am when Györgyi was whispering the name day song to him and feeding him Austrian dog chocolate. (That is to say before you send off your weekly emails to me with the subject line YOU’RE KILLING HIM! YOU’RE KILLING HIM!– please direct them to Györgyi instead this week.) But he’s going to have a good weekend too. We took him to Anna who runs a ranch with her husband on the edge of town They have horses and farm animals and other dogs, though we just learned that even with all of the animal friends, Barnabás opts to sleep inside, on their bed, with them. Have a nice weekend, Internet. Hope June is as bright for you wherever you are as it is here in the Buda. No chocolates for dogs, you’re going to send him into shock or something worse–what, I don’t know–but chocolate is really bad! So are raisins, grapes, macadama nuts. I just read this somewhere recently, maybe the Sunday Parade. What is this “no chocolates for dogs” thing? I had a german shepherd, 90% of what she ate was chocolate. And candy. If she could choose between tenderloin and chocolate – I tried it – she chose the sweet without hesitation. She died at age twelve, I still miss her, though it was ten years ago. Oh– and p.s Zsoltibacsi– I really want to see pictures of your German Shepherd. Did you get her when she was a puppy. They are SO adorable. I buy chocolate for Sampson at Mrtyle Beach- it’s also made for dogs. He loves it. Although I just found out that broccoli can be fatal to dogs as well. I gave Sam a couple of pieces and the next day he was very lethargic – called the vet and found it broccoli is toxic to dogs.